From the Foreword by Robin Burcell "...what I discovered was that reading this anthology was very much like walking into a small and intimate art gallery. Like any gallery there is something for everyone. From cozy to creepy, traditional to noir, you'll find an assortment of stories between these covers." From a back blurb by Cara Black: "Thieves, liars, and killers -- it's a criminal world out there -- and Capital Crimes, the Sisters in Crime standout anthology, take them on. I loved it. Imagine a tour de force of fifteen stories dripping with atmosphere and quirky characters as varied as the California they inhabit...." . Published in January 2008 by Umbach Consulting, this is an Anthology of mystery stories edited by Kathleen L. Asay and Patricia E. Canterbury. 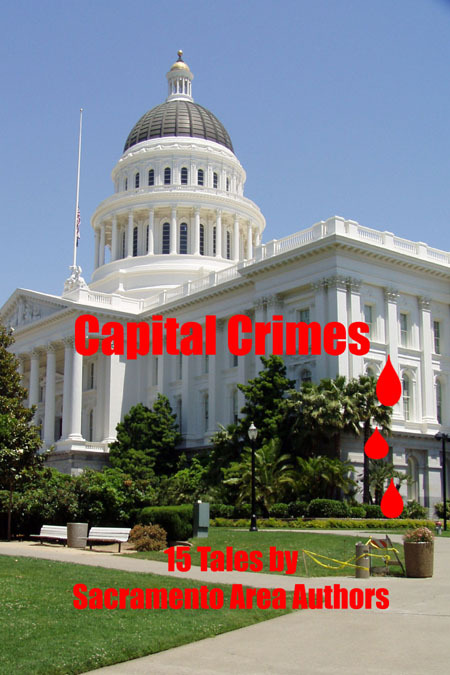 With a Foreword by Robin Burcell and an Introduction by Gabrielle Guedet, this crime and mystery anthology features stories by writers from the Sacramento area who are members of Capitol Crimes, and the Sacramento Chapter of Sisters in Crime.